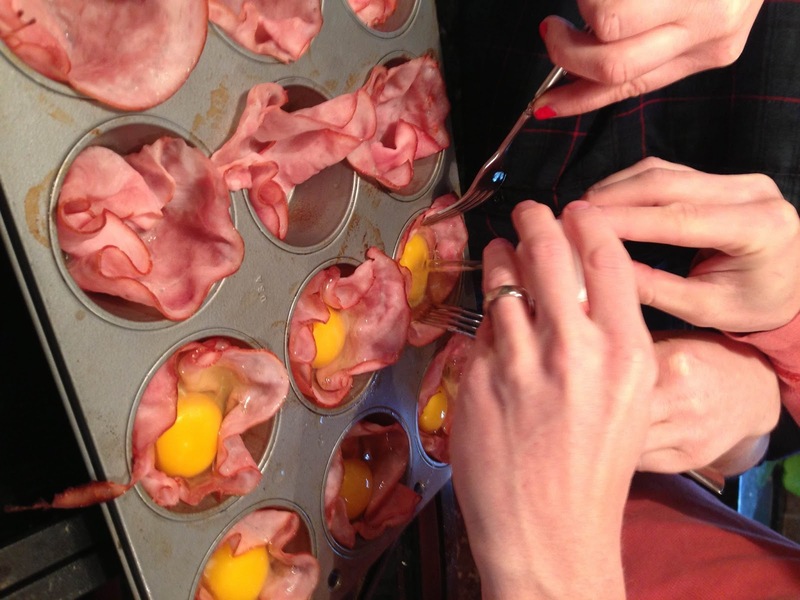 It all started last week when planning a Mohter’s Day brunch! Oh ya! Happy (late) Mother’s Day mommies and future mommies! 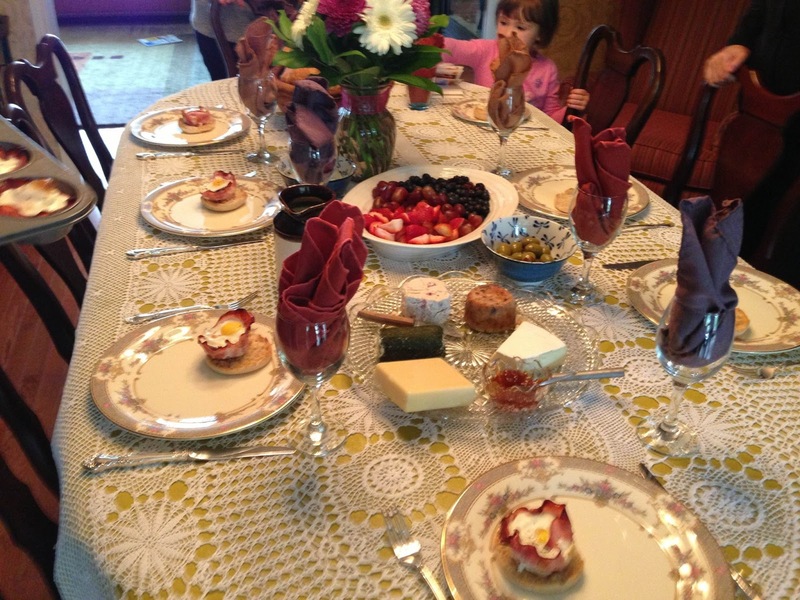 Hubby’s family does brunch really well! The one rule is we must use all of the good dishes. It includes cereal, cheeses, eggs, bacon etc. Delish! It doesn’t happen often but when it does it’s the only meal that I need that day. Haha! So back to my story, last week myself and my sister-in-law girlfriend were talking about brunch for Mother’s Day for my mother-in-law. Please note that we aren’t original family members and we were doing the planning. Hubby’s response was “it’s only Thursday… we have lots of time to plan”. Well, that just doesn’t work for us because we are crazy planners. For me, it’s mostly by trade but also compulsion. 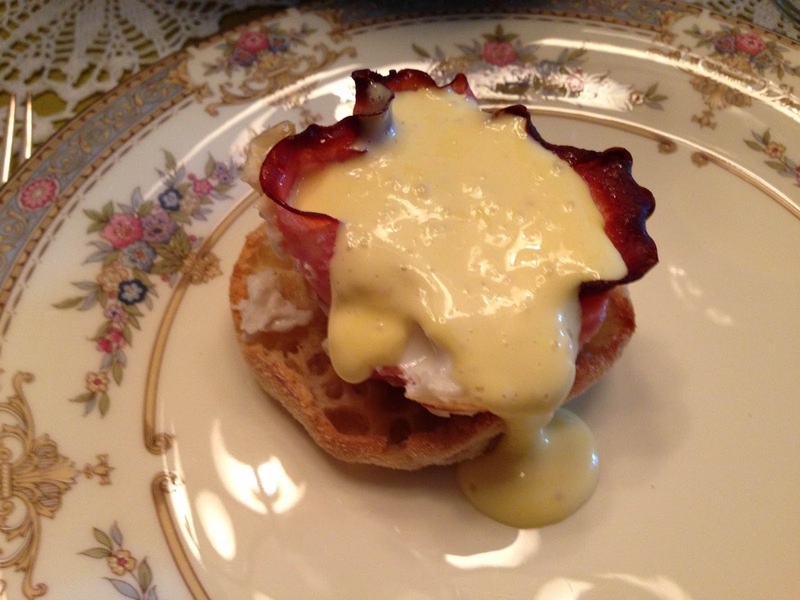 So we got a plan together, eggs benedict! So where do I go but pinterest, it’s slowly becoming my go to place for everything. I read a bunch of different recipes and pieced something together based on our tastes and had a plan. We showed up and my mother-in-law had no idea what was going on! My sister-in-law (who was visiting from BC) didn’t tell her anything so that was great! Nothing better then walking into a house with flowers and food in toe. Set oven to 375. 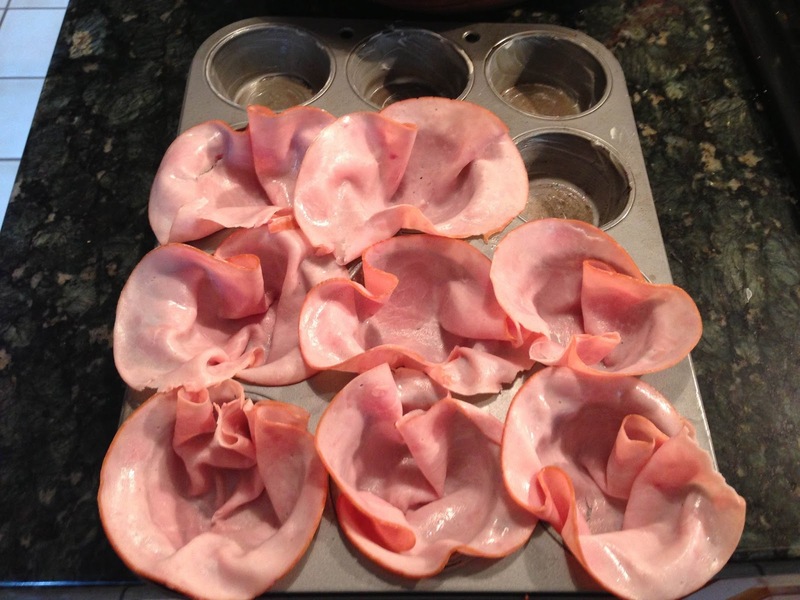 Butter muffin tin and place ham in the cups. Put in the oven for about 10-15 minutes. i can’t figure out how to change the direction of this picture! but you get the point. Put back in the oven for another 13-15 minutes. Divide up the English muffins and put them insides up in the oven so that they toast at the same time as the eggs are cooking. In the meantime, put the yokes, mustard and lemon juice in a blender (yep! we are going to do the sauce in a blender no double boiler needed). While that is blending up put the butter in the microwave and melted it down. Once melted, slowly stream it into the egg yoke mixture. If you are serving the sauce, then warm up whatever you are putting it in. Pull everything out of the oven, butter the English muffins and serve hot! Everything turned out great! I was very pleased at how the eggs came together and I’m already thinking of ways to change it up such as making them with bacon or salmon or avocado or cheese! I also mentioned a fruit dip and of course that was homemade too. This dip is known to be eaten on cookies and used as cake icing. Whip everything together and put in the refrigerator for about 30 minutes. Serve with fruit. I would love to hear how this turned out for you and if you made any changes!